Smartwatches have become very popular among users in past couple of years and almost every popular company has launched its own smartwatch. Are you going to buy one for yourself? Well, as we know 2016 is going to end in a couple of days. So, here we bring you the list of Best Smartwatches of 2016 and this will surely help you pick out the Best Smartwatch for yourself. VOTE: POLL: Which Was Your Favorite Android Phone of 2016? 1 WHICH IS THE BEST SMARTWATCH OF 2016? WHICH IS THE BEST SMARTWATCH OF 2016? We couldn’t skip Apple’s watch here because it has solid features and a great design! It is Best Smartwatch to buy at the moment! Apple first unveiled its smartwatch back in April last year and this year, the company launched Series 2 of the Apple Watch. It is available in two different variants i.e 42 & 38mm. Coming to the specifications, it comes with built-in GPS and is water-resistant up to 50 metres. Under the hood, there is a dual-core S2 processor. The company claims that the new processor is about 50% faster than that on the previous Apple Watch. There is an aluminium body with different finishes like Gold, Silver and not to forget Rose Gold. Lastly, coming to the pricing, the Apple Watch Series 2 is priced between $369 and $1099. The price can go beyond 1k$ in case you go for the stainless steel and strap. VOTE: POLL: Which Phone are You Waiting For in 2017? If we go back to 2015, the Gear S2 ruled the smartwatch market and same is the case this year also. Samsung launched the Gear S3. It is much better and improved version of the S2. 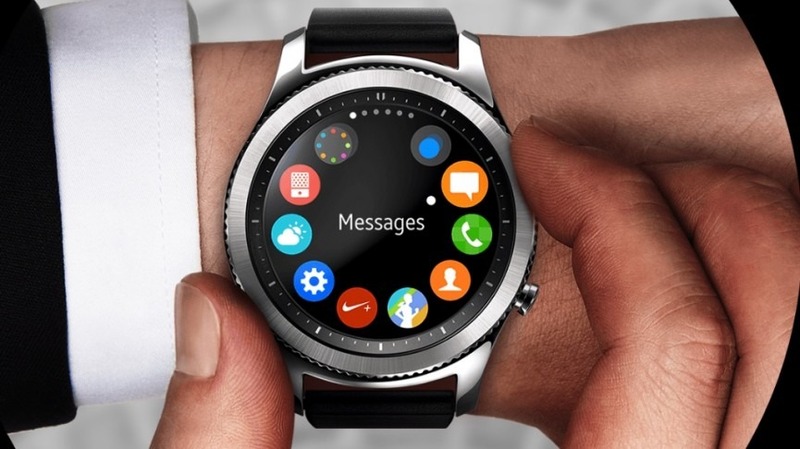 Based on Tizen OS, the watch features a unique rotating bezel which is a very new concept introduced in any smartwatch by Samsung. There are two different variants of Samsung Gear S3, the S3 Classic and S3 Frontier. If you are looking for a smartwatch that you can wear at work, the classic variant is for you. But, keep in mind that the classic variant doesn’t’ come with the LTE support. But, the Frontier variant is a more rugged type and has the LTE connectivity. Just like the Apple Watch Series 2, the Gear S3 is IP68 Water and Dust resistant. There is a 1.3-inch Super AMOLED screen and 380mAh battery. Under the hood, it comes with a Samsung Exynos 7270 dual-core processor and 768MB of RAM. The price of Gear S3 starts from $350. When it comes to budget, if this is not in your budget you also have an alternative to it known as Samsung Gear S4, It is one of the best available right now at good discount. 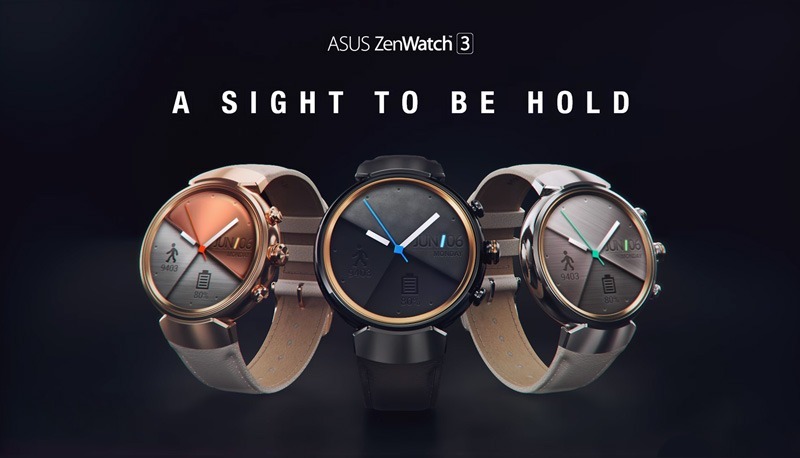 The Zenwatch 2 had a square design but with the Zenwatch 3, the company launched its first smartwatch with a circular display. The main highlight of this smartwatch is its design which is really premium. It comes with a stainless steel body and also, it is IP67 Water and Dust Resistant. It rocks a Snapdragon 2100 processor that is one of the processors made especially for the wearable devices. There is 512MB RAM and 4GB of internal storage. Also, the smartwatch coems with a good 340mAh battery with fast charging. The company claims that the watch can charge ipto 60% in just 15 minutes! Lastly, coming to the priing, Zenwatch 3 is priced at $255 which is a good pricing for such specifications. 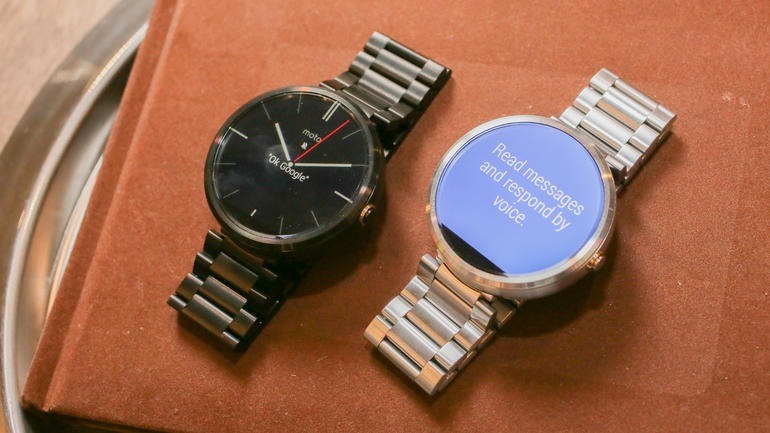 Moto 360 created hype when it was lauched last year. Now, the 2nd Gen variant of the watch i,e Moto 360 2nd Gen has also become a great choice when it comes to Smartwatches. In fact, it is the most popular smartwatch! It packs a Snapdragon 400 chipset, 4GB of RAM and the display comes with Gorilla Glass 3 protection. It comes in two variants i.e 42 and 46mm. There is 300mAh battery on the 42mm variant and 400mAh battery on the other one. One of the most amazing features of this watch is that the looks can be easily customized and also the bands can be changed. Like other smartwatches, the Moto 360 2nd Gen is IP67 rated so it too is Water and Dust resistant. Now, coming to the pricing, it is priced at approx $295.